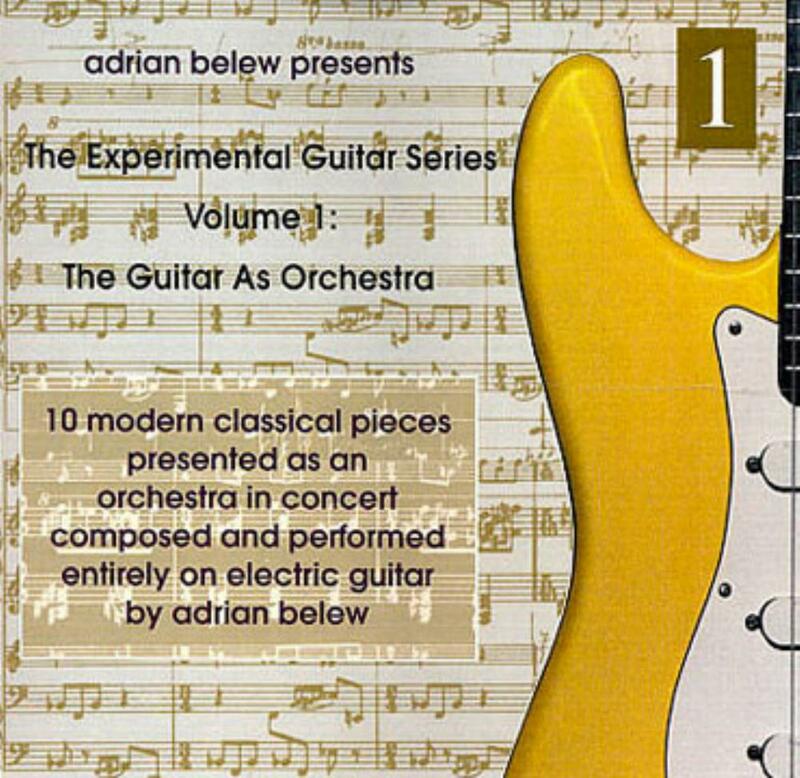 A bit of an odd release from Adrian Belew. By far one of his most "progressive" albums is this, where he essentially fiddles around with his guitar synthesizer (using the orchestra sound effect that can be heard on Dinosaur as well as a piano effect). It's an interesting concept, but does he pull it off well? Well, to be honest, it's a decent album, it has some nice moments, but I think it's a similar case to that of Zappa's Jazz from Hell where it was too "I'm going to play around with my new toy" and not enough solid songwriting can be heard. At least Jazz from Hell had some differences in sound, this album sounds very samey. However, despite these faults I think that The Guitar as Orchestra can be an interesting album. I'm fond of the later pieces on the album, such as Seven E Flat Elephants Eating the Acacia of a C# Minor Forest, which is one of the longer songs and one of the most captivating musically. The same can be said about the anxious and nervous atmospheres conveyed in Alfred Hitchcock's "Strangers on a Train" Starring Robert Walker, which sounds as if it could have been in an Alfred Hitchcock movie. The rest of the album is hit or miss, but for the most part you'll find interesting compositions here and there and some mindless noodling in the spaces between. While not his best album, The Guitar As Orchestra is an interesting album to say the least. Adrian Belew's follow-up studio effort (after the Acoustic Adrian Belew) would be his best album of the 90s and a real return to form. I talk about of course one of his most experimental albums, Op Zop Too Wah. I can only really recommend this album to fans of Belew. A good album overall, but not essential to your collection.